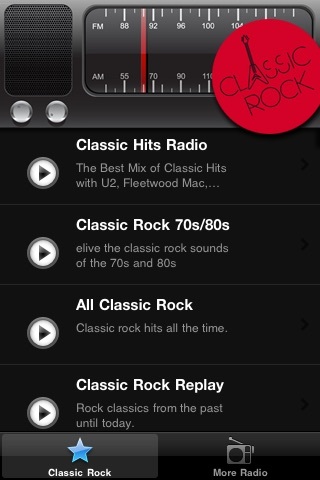 Classic Rock Radio Streams for your iPhone or iPod Touch. Dozens of the best radio stations streaming the best Classic Rock music hand selected for your enjoyment. 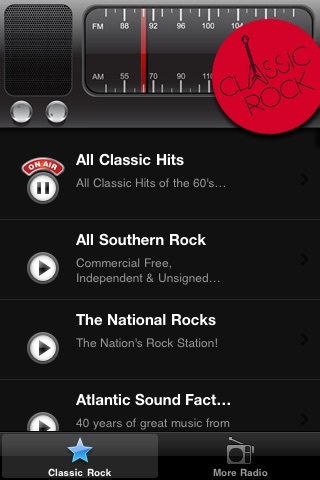 The Best Classic Rock from the 50s, 60s, 70s, and 80s from multiple radio stations 24/7 365 days a year. Only the best songs from bands like Aerosmith, Steely Dan, Steve Miller Band, ACDC, Black Sabbath,and more! Find the station that suits you and let it play in the background FREE.